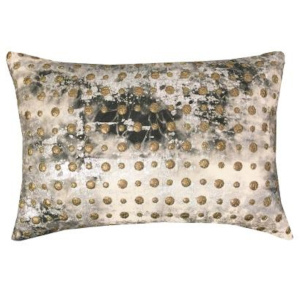 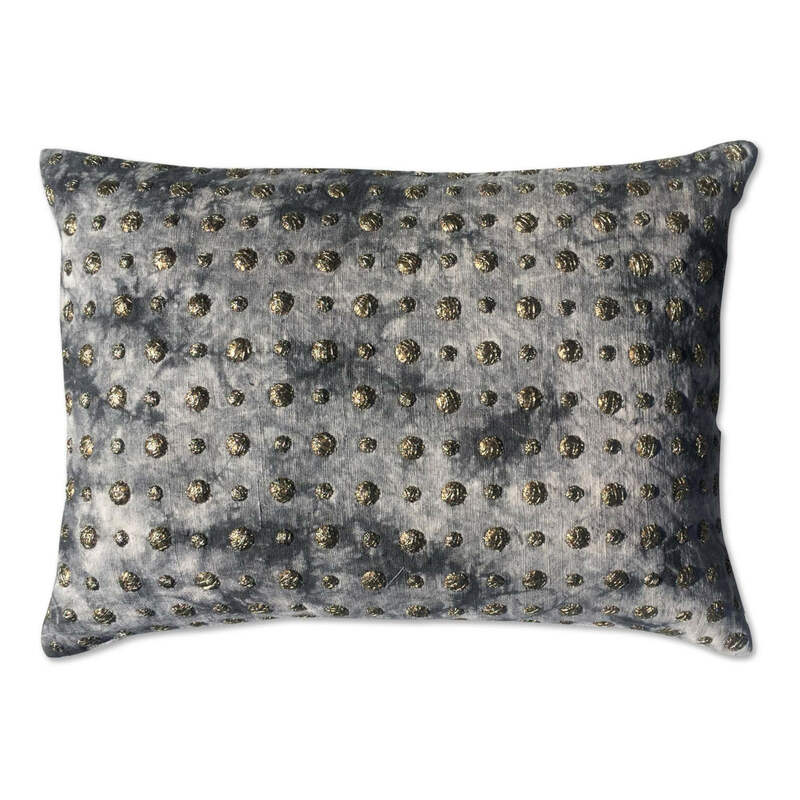 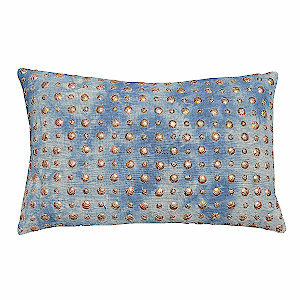 Cloud9 Design Char Tie Dye with Gold Studs Decorative Pillow - Swatches may be available. 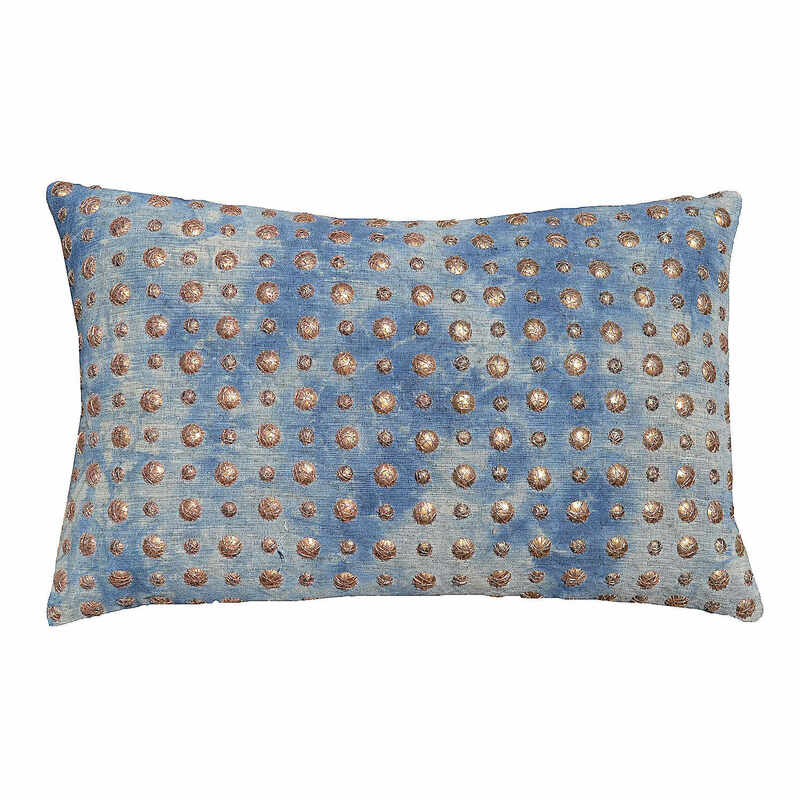 Colored Tie Dye pillows with hand sewn studs. 14x20 Ivory and charcoal tie dye with studs and silver foil.